Join us for the fourth faculty research seminar of the fall semester. 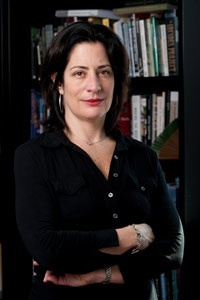 Dr. Joan Saab, Associate Professor of Art History/Visual and Cultural Studies and Chair of the Department of Art and Art History, will share her research. Dr. Saab's work explores the place of immigrant women in delineating an alternative narrative of American modernism. The paper is part of a new book project for Dr. Saab that explores the place of craft in the early twentieth century art world, particularly as it relates to institutions of fine art and the changing American marketplace. Lunch will be provided. Please rsvp to sbai@rochester.edu by November 5.